Безплатна доставка при поръчка над 50 лв.! 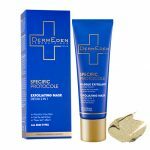 This SPF 50 anti-ageing tinted day cream is an outstanding product, boasting and anti-dark spot and anti-wrinkle action as well as high UVA and UVB protection while camouflaging blemishes. 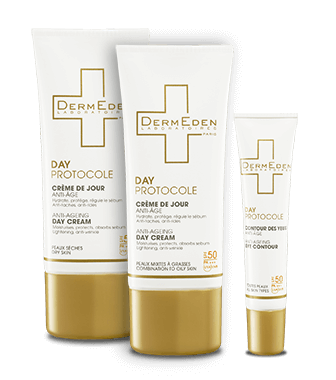 The Daily Defense Universal Cream from Laboratoires Dermeden is an amplified beauty cream, containing a vitamin D-like ingredient called Vederine. On aime cet embellisseur de jour qui combine tous les actifs stars de cette marque unique en son genre, dédiée au photo-vieillissement et pensée par un dermato. 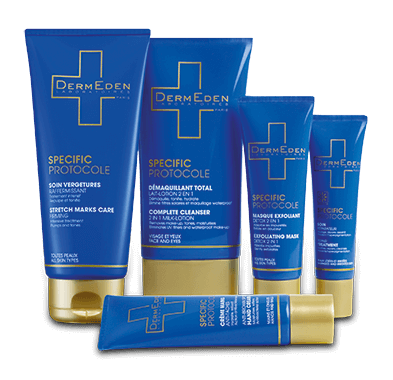 Why choose between sun protection and health? You no longer have to thanks to this first ever day cream that solves the dilemma of sun protection versus the benefits of vitamin D.
Make this intense eye treatment part of your bedtime ritual and say goodbye to puffiness, dark-circles and fine lines.